Creating SharePoint sites and libraries is pretty simple. Getting the right data to those sites and libraries isn’t. 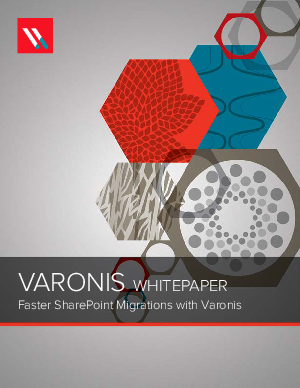 This comprehensive whitepaper lays out a 5 step plan for faster, safer SharePoint migrations with Varonis. Say goodbye to weekend-shifts and all-nighters—just describe your ideal migration, simulate it before committing, and automation will make it happen quickly, and securely.